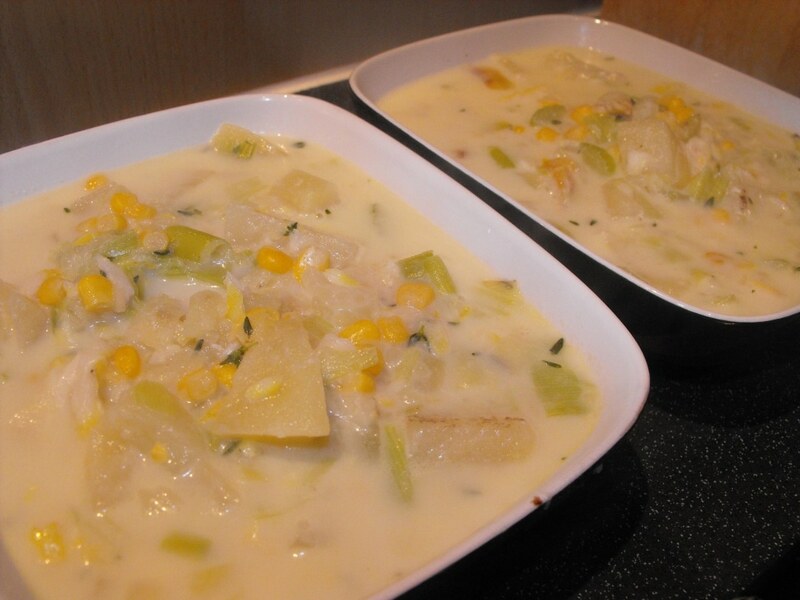 This easy Smoked Haddock Chowder is such a simple recipe to make and you probably have most of the ingredients already. This healthy take on the New England fish soup is filling, nutritious and total comfort food. This is a really comforting soup. Normally I would have bread with my soup, but seeing as this has potato in it, you really don’t need any. Perfect for in the winter, but great for anytime really. I don’t normally like haddock, I find it too fishy, but, this recipe I created is great – even if I do say so myself. This easy Smoked Haddock Chowder is so simple to make that you probably have most of the ingredients already. It's filling, nutritious and super tasty. Put the fish in a large pan and cover with 300ml of skimmed milk. Cover and simmer for 2 minutes. Take off the heat and leave to stand for 5 minutes. Heat the oil in a pan and add the onion, leek, potato and garlic and cook until softened - around 5 minutes. Stir in the thyme, sweetcorn and the milk that was reserved from cooking the haddock and bring to the boil. Simmer for 10-12 minutes, until the potato has softened. Put half of the mix into another bowl and mash with a potato masher. Return to the pan with the rest of the mix and simmer for another 4 minutes. Can u use haddock fillets instead of smoked haddock? Very tasty unlike some healthy meals which tend to be bland.